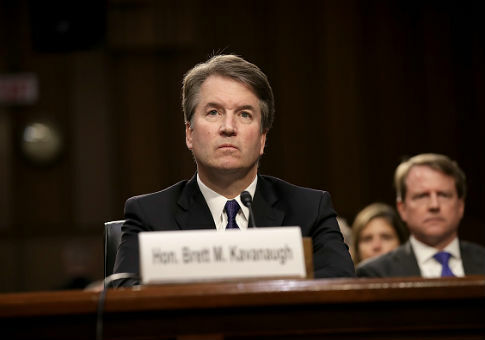 A purported fourth witness, who Christine Blasey Ford claims was in attendance at the party where she alleges Supreme Court nominee Brett Kavanaugh sexually assaulted her, has denied any knowledge of the alleged assault or any memory of the party in question. Leland Ingham Keyers, a former classmate of Ford, sent an email to the Senate Judiciary Committee where she claims she doesn't know Kavanaugh or have any memory of being at a party with him. "Simply put, Ms. Keyser does not know Mr. Kavanaugh and she has no recollection of ever being at a party or gathering where he was present, with, or without, Dr. Ford," Keyer's lawyer wrote in an email. Ford’s lawyer Debra Katz responded to Keyers' denial saying it's not a surprise Keyers doesn't remember the party because Ford didn't discuss the alleged assault with anyone. "As Dr. Ford has said, she did not share her story publicly or with anyone for years following the incident with Judge Kavanaugh," Katz said. "It's not surprising that Ms. Keyser has no recollection of the evening as they did not discuss it. It's also unremarkable that Ms. Keyser does not remember attending a specific gathering 30 years ago at which nothing of consequence happened to her. Dr. Ford of course will never forget this gathering because of what happened to her there." Kavanaugh has denied the allegation and released a second statement where he said he is willing to talk to the Senate Judiciary Committee again. Before Ford's name was released, Judge also denied the allegation. Ford also identified Patrick J. Smyth as one of the teenagers who attended a party, and he also denied any knowledge of attending a party that Ford describes. All four people who were in attendance of the party, according to Ford, have denied any knowledge of the party or the alleged assault. Senate Judiciary Committee Chairman Chuck Grassley (R., Iowa) has been negotiating with Ford's lawyer for several days for Ford to testify before the committee. Grassley offered Ford the option to testify in public or private, and he pushed back the date to Wednesday from Monday. Ford's attorneys responded by saying they accept the invitation but have further requests before Ford testifies. Despite Ford saying she will testify, it is unclear when or if Ford will testify in the coming days.